About 20 months after the Tianjin Port explosions that left insurance companies with as high as ~$4bn in claims, the port stays abuzz with cargo activities, with Beijing-based companies expected to invest $23 billion in the city. In 2016, the port saw throughput volumes to the tune of 14.49m teu, a 2.9% year-on-year rise. “Tianjin port will apply the brakes to coal transportation by trucks from the second half of 2017, to alleviate pollution caused by diesel-powered trucks and coal consumption”, the mayor said. What are insurance companies doing? The Tianjin event highlighted how risks can be accumulated in a single location. A massive 285 of the Fortune Global 500 companies had facilities there. Following the event, insurers and reinsurers were exposed to claims from multiple lines of business, involving multiple policies across property, marine, motor vehicle and personal injury. Data for annual turnover in terminals, average turnaround times and market share of an insurer etc., enables calculation of risk scenarios and to identify accumulations. If the underwriters in case of Tianjin had known about the presence of lethal chemicals in Ruihai International Logistics, they would have priced the risks very differently. It is essential for underwriters to understand and evaluate neighboring risks/risks in proximity. Mr Damien Pang, Head of Short-Tail Claims at AGCS Asia, notes that increasing BI claims are more from human error or technical failure rather than from Nat CATs. He suggests companies to increase their supply chains’ resilience by mapping them, identifying critical suppliers and their locations, get back-up suppliers and increase stocks. “These “redundancies”, once considered “cost-blocks”, are now instead viewed as investments in reliability and safety” he adds. To fully exploit the capabilities of Big Data and Analytics, quality data is needed. Industry experts had commented that effective data communication was lacking throughout the underwriting process for the Tianjin event. Consultancy firms launching newer and better cargo modelling tools. Containers are being fitted with RFIDs to help identify locations. Learning lessons from property businesses in Florida where risks come into the market with huge amounts of exposure information. 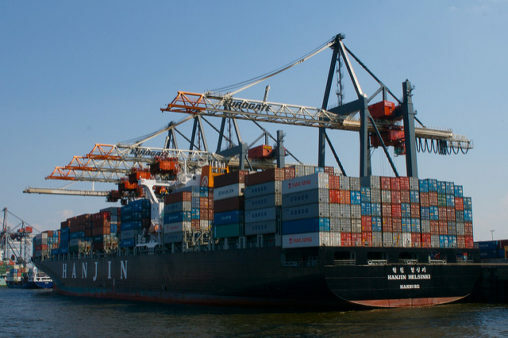 Big Data and smart analytics will help make marine data more accessible, thereby enabling better assessment of cargo risk accumulations and create greater scope for modelling. They can also be used to build a knowledge profile of an area or specific property, including proximity to Nat CAT risks. Why should I care about InsurTech?